Drinking green smoothies is a popular way to get healthy, although some people express concern about a substance called oxalates present in health drinks. Do the health benefits of green smoothies outweigh the risks of oxalates? Plants, animals, and even people all produce oxalates. These natural substances, which are organic acids, occur in many forms of organic matter. Humans even convert non-oxalate containing foods into oxalates, so they occur quite naturally in the human body. Dark, leafy greens that are common ingredients in green smoothies are naturally high in oxalates. Oxalate-rich leafy greens come with many health benefits, which is why they are often included in green smoothies. In addition to providing dietary fiber and a number of vitamins and minerals, these greens may even offer protection against diabetes, heart disease, cancer, and other health problems, according to WebMD. Because they occur naturally, oxalates are relatively harmless in most people. Some people, however, have health conditions that interact with oxalates. If your doctor has recommended that you limit oxalates in your diet, you may need to change the ingredients you use in your green smoothies. Some people may be at higher risk from oxalates than others. If your physician has never advised you to avoid oxalates and you have never experienced urinary stones, chances are oxalates are not a problem for you. Here are some groups who should limit oxalate consumption in green smoothies. According to the Mayo Clinic, some people form a type of kidney or urinary tract stone made from calcium oxalate. If you have experienced urinary stones, your physician will give you a strainer to catch the stone so they can analyze it in the lab. If your stones are made of calcium oxalate, you may need to restrict oxalate-containing foods. The National Institutes of Health says that if you experience recurring kidney or urinary stones, you may need to avoid dietary sources of oxalates, such as green smoothies. These relatively uncommon conditions occur when your body poorly manages oxalates, which wind up as salts in the urine. Because oxalate salts are poorly absorbed, they wind up as deposits. In cases of hyperoxaluria, the deposits usually occur in the urinary tract as stones. This can lead to kidney failure. After kidneys fail, the condition becomes oxalosis, and oxalate deposits appear throughout the body in tissue such as the eyes, blood vessels, organs, bones, and heart. According to the Oxalosis and Hyperoxaluria Foundation, the condition may be congenital (present at birth), or it may occur later in life secondary to other diseases. In cases of primary and secondary hyperoxaluria and oxalosis, limiting oxalates intake via foods is a key health management strategy. 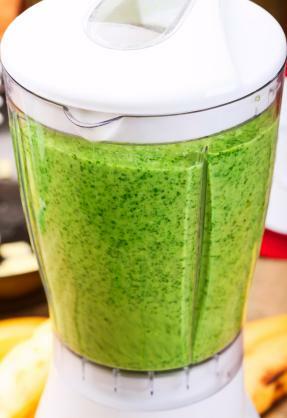 For the majority of people, the benefits of green smoothies far outweigh the risk of oxalates. If, however, you have one of the conditions listed above, you should definitely talk with your primary health care provider about your oxalate intake. He or she may recommend you replace the high-oxalate greens with other low-oxalate types. That way, you can continue to enjoy the benefits of drinking green smoothies without risking your health.